Decoy studios has one of the best equipped recording suites in the country, but it's not only equipment that set these studios apart. 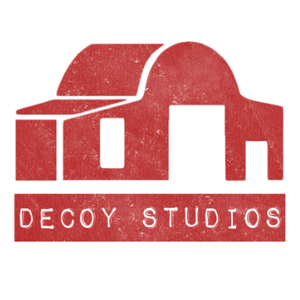 Decoy is surrounded by countryside and is the perfect environment for bringing out the best in artists and producers alike. The recording suite has been used by a range of clients including Ed Sheeran, Rat Boy, The Maccabees and James Blunt. The Recording Suite is private and self contained. This side of the building is not directly connected to the Mix Suite. The Recording Suite consists of three interconnected rooms (Control Room A, The Live Room, The Library) and a Kitchen/living space. Clients are also welcome to wander the beautiful grounds surrounding the studios. Control Room A serves as a central hub to the recording side of the building, its central feature is an Audient ASP8024 Heritage Edition console. The room has viewing windows into both the Live Room and The Library, not to mention the stunning Suffolk country side. 16 vintage Neve Mic amps, great monitoring options and a whole host of outboard gear make this the ultimate room for tracking or mixing. The Library, so called due to the wall of books, draws its influence from early English manor houses. Primarily a vocal booth however the space can be used to isolate guitars, record drums or do voiceovers. As pictured, when the room isn't being used for recording it becomes a small studio fitted with various monitoring options. Not only is the library a versatile space, it also has great vibes and is the perfect place to chill out after a long days recording. The Live Room is a large open space situated in the centre of the building, unlike most live spaces its full of light and has a stunning lake view, couple this with the great acoustics and you've got the ultimate recording space. The room also features a large circular 'log diffuser' which is as practical as it is striking.